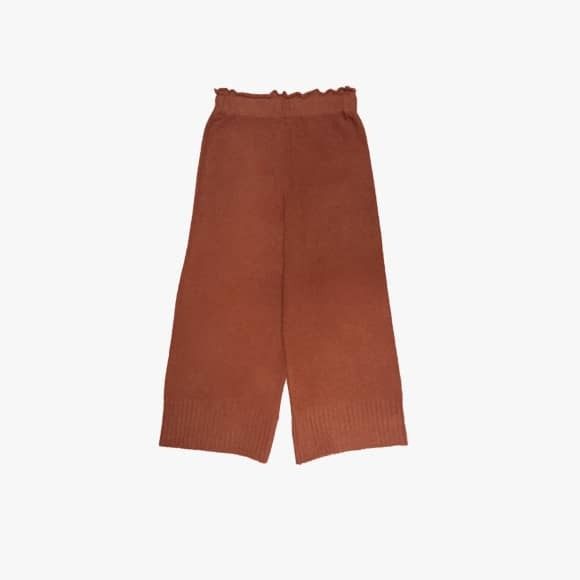 These striking wide leg knitted trousers feel so soft and light against your skin. The flattering high-rise paperbag waist draws the attention to the narrowest part of your torso while cropped leg shows off your shoes. Wear yours with our Merino sweater in Pearl. Designed by Diarte.